Mizoram Election Results 2018: Rebel leader and two-time Chief Minister of Mizoram, 84-year-old Zoramthanga is set to be the Chief Minister. Zoramthanga has already staked claim to form government. 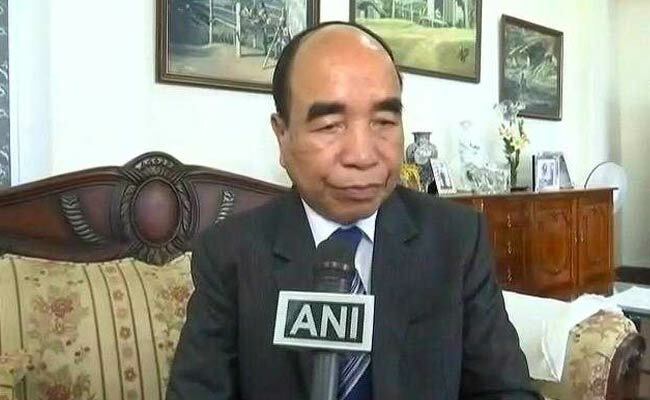 Mizoram Election Results 2018: MNF leader Zoramthanga is set to be the new Chief Minister of Mizoram. Regional party Mizo National Front or MNF trumped the ruling Congress party in Mizoram taking it away from Lal Thanhawla, returning to power after a decade. The MNF got a massive 26-seat majority, according to Election Commission, crossing the mid-way mark of 21. Congress could manage just five seats in the 40-member assembly. The MNF, led by Zoramthanga, a former ally of the BJP in the state, had decided to contest independently this time. Rebel leader and two-time Chief Minister of Mizoram, 84-year-old Zoramthanga is set to be the Chief Minister. Zoramthanga has already staked claim to form government and the swearing in of the new cabinet would take place next Saturday. Congress' Lal Thanhawla, five time chief minister, on Tuesday evening submitted his resignation to Governor Kummanam Rajasekhar. 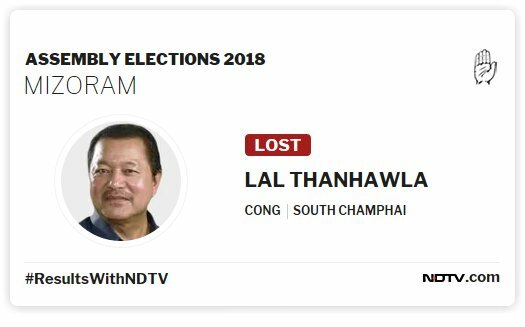 Chief Minister Lal Thanhawla, who contested from Champhai South and Serchhip, lost both the seats. He lost Champhai to Mizo National Front's (MNF) TJ Lalnuntluanga, while Serchhip was snatched by Zoram People's Movement's (ZPM) chief ministerial candidate Lalduhoma. The figures throw Congress out of its last bastion in the north-east. Though a poll of exit polls said the MNF would beat the Congress, predictions had given the party a slim margin over the ruling Congress. It had also predicted the MNF would fall short of the majority mark of 21 in the 40-member Mizoram assembly, another prediction that was proved to be wrong. After leading the Mizo National Front (MNF) to power in Mizoram, chief minister-designate Zoramthanga on Tuesday said he would impose total prohibition in the state as promised by his party, according to Press Trust of India. Speaking to reporters after his party won a landslide victory in the election to the 40-member state legislature by bagging 26 seats, Zoramthanga said his government would also ensure better roads and implement the Socio-Economic Development Programme (SEDP) the flagship programme of the party, to lift the state's economy. In the run up to the polls, liquor was a major political issue. While the Congress was against total prohibition, the MNF wanted a complete ban. The BJP had taken a middle path by proposing to ban the liquor coming from outside the state and encourage only locally produced ones, reports PTI. Mizo National Front (MNF) candidate Lalchhandama Ralte on Tuesday won the Tuivawl seat in Mizoram defeating his nearest Congress rival RL Pianmawia by just three votes, according to news agency IANS. Another MNF candidate, Lalruatkima, won the Aizawl West-II seat by the highest margin among all 40 winners in the new Mizoram Assembly for which elections were held on November 28. He defeated his Congress rival by 2,720 votes. According to an Election Commission official, two other MNF nominees -- Lawmawma Tochhawng and C Lalrinsanga -- won from Lunglei East and Lunglei West by 72 and 77 votes respectively. Lawmawma Tochhawng defeated an independent while Lalrinsanga overcame a Congress challenge. Rebel leader and two-time Chief Minister of Mizoram, 84-year-old Zoramthanga has led his party -- the Mizo National Front (MNF) -- to victory in the assembly elections. The MNF has bagged 26 of the 40 seats in the hill state. The ruling Congress could manage only five. The outgoing chief minister, Lal Thanhawla, has accepted his defeat and resigned after the results were announced. 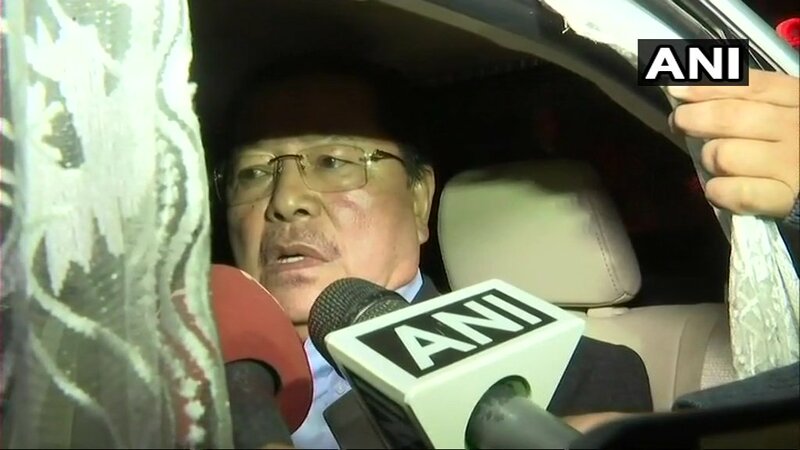 Mizoram Chief Minister Lal Thanhawla on Tuesday evening submitted his resignation to Governor Kummanam Rajasekhar after the Congress suffered a humiliating defeat at the hands of opposition Mizo National Front (MNF), an official was quoted by IANS as saying. 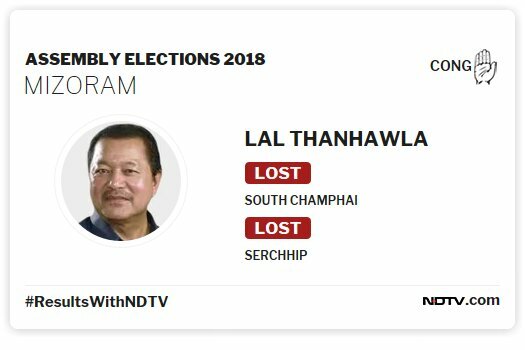 Lal Thanhawla, who had successfully contested Assembly elections a record nine times, this time lost in both constituencies -- Champai South and Serchhip -- from where contested. 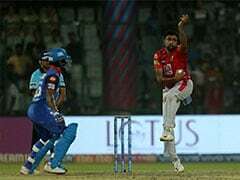 Speaking to news acency ANI, Lal Thanhawla said, "This is very disappointing. I didn't expect this. I think I underestimated the new formation ZPM (Zoram People's Movement)." Regional party Mizo National Front or MNF won majority in Mizoram trumping Congress in the 40-member assembly. The Congress saw a rather humiliating defeat in the state that was its last bastion in the North East. Want to congratulate those who won polls in Mizoram. 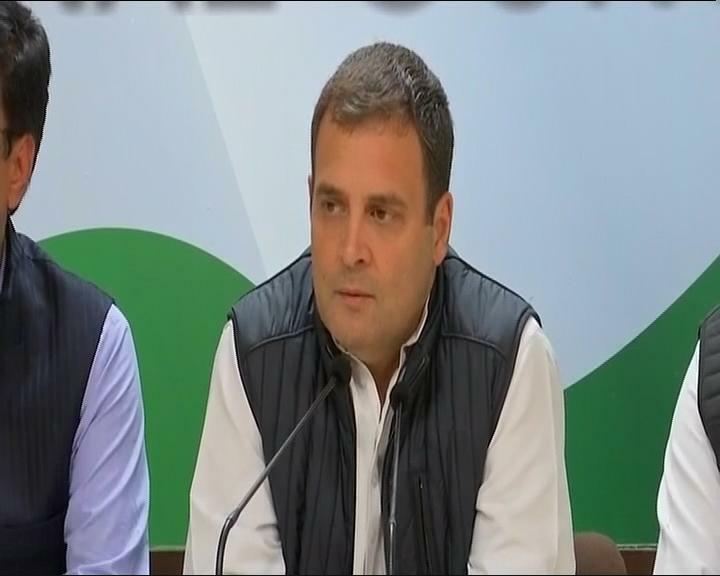 Want to also congratulate party workers who stood with the party in times of difficulty, says Congress chief Rahul Gandhi while addressing a press conference in Delhi. Trends showed that Congress is set to scoop two states -- Chhattisgarh and Rajasthan, while Madhya Pradesh still seems too tough to call. Mizoram Chief Minister Lalthanhawla accepts defeat and gives his resignation to Mizoram governor K Rajshekharan. Regional party Mizo National Front or MNF is set to take Mizoram from the Congress's Lal Thanhawla and return to power after a decade. The MNF will get absolute majority in the state, according to news agency Press Trust of India. Mizo National Front or MNF gets majority in 40-member Mizoram Assembly, says Press Trust of India quoting Election Commission sources. Mizoram Results: Celebrations outside the MNF office. Trends show the MNF is to get close to 25 seats and Congress losing the state getting just about 6 seats. The Congress, which appears to be on the road to victory in BJP-ruled Chhattisgarh and Rajasthan and is locked in a close fight in Madhya Pradesh, is losing grip on Mizoram. In a big blow to the party, the Telangana Rashtra Samithi (TRS) is headed for a landslide win in Telangana, the youngest Indian state. 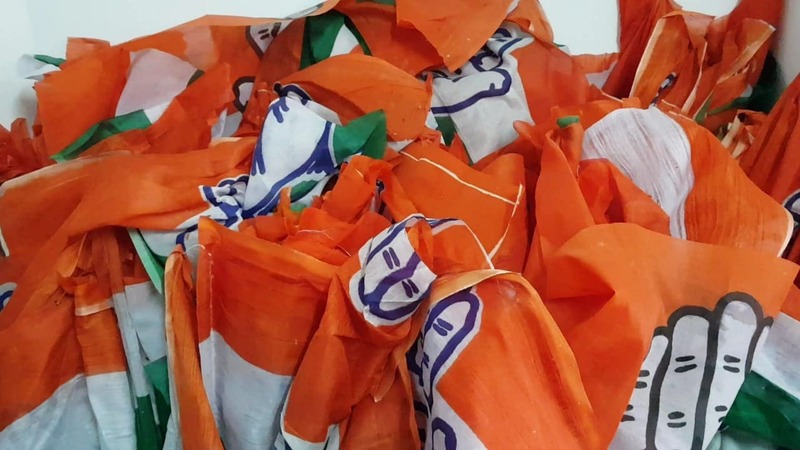 Congress flags lying in its Aizawl party office. The ruling Congress party is trailing behind arch rival MNF by a massive margin. Finance Minister Lalsawta is trailing in the prestigious Aizawl East-II behind MNF nominee Robert Romawia Royte. BJP candidate and former minister Dr Buddha Dhan Chakma is leading by over 1,000 votes against MNF nominee R M Chakma in Tuichawng seat in south Mizoram's Lawngtlai district. 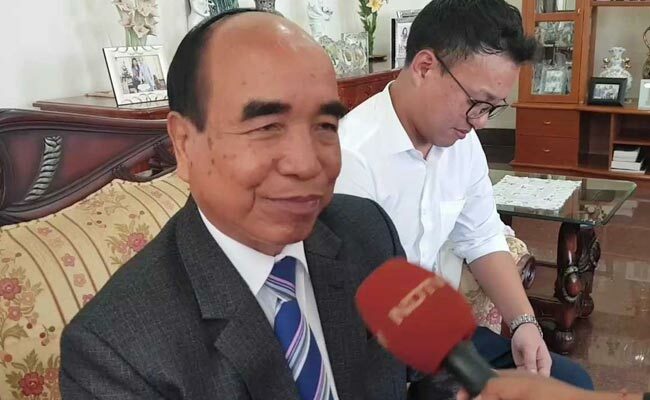 Former assembly speaker Lalchamliana of the MNF is ahead of Cooperation Minister and the lone woman legislator Vanlalawmpuii Chawngte in Hrangturzo seat, reports Press Trust of India. Key leaders from Mizo National Front leading in their constituencies. Leads for the 40-member assembly gave MNF close to 25 seats and the ruling Congress less than 10 seats. 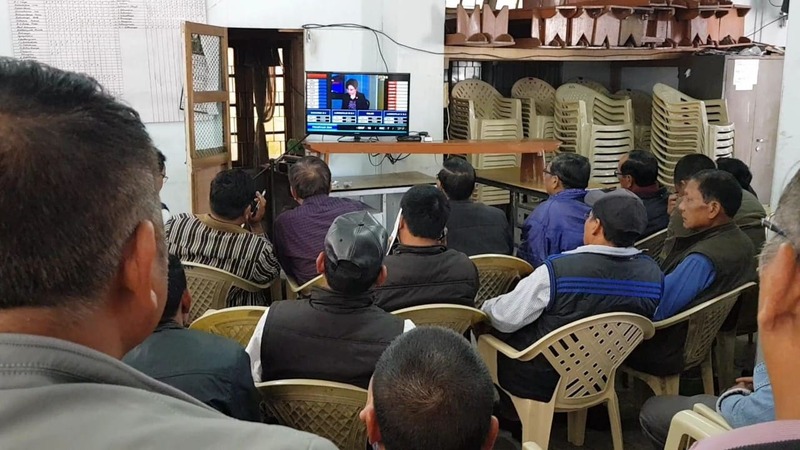 MNF supporters watch poll results at party headquarters in Aizawl after trends showed the party leading with a massive margin. The opposition Mizo National Front (MNF) is leading in 19 constituencies followed by the Zoram People's Movement (ZPM) in eight seats while the ruling Congress is leading in five seats in Mizoram, according to PTI quoting the state election department. The BJP is leading in one seat in the state that has a 40-member assembly. Chief Minister Lal Thanhawla is trailing behind ZPM nominee Lalduhoma in the former's home turf Serchhip in the first round of counting, PTI quoted election officials. The CM is also contesting from Champhai South seat. The lone woman minister of his cabinet, Vanlalawmpuii Chawngthu, is also trailing behind former Assembly Speaker Lalchamliana in Hrangturzo seat. Chief Minister Lal Thanhawla of Congress trailing Lalduhoma of Zoram People's Movement (ZPM) by 75 votes in Serchhip constituency. An analysis of the exit polls predictions showed the MNF winning 18 seats, the Congress 16 and the others six, while not giving the BJP even a single win in the Mizoram polls. The MNF and Congress contested from all the 40 seats in Mizoram while the BJP fought in 39. With leads for 22 seats in, the Mizo National Front leads in 14 seats, Congress in 6. BJP gets first lead. Exit polls for Mizoram predicted a hung house for the 40-member assembly. The counting of votes for the 40-member Mizoram assembly began at 8.00 am, amid elaborate security arrangements, election department officials told PTI. The counting is on in 13 counting centres in the eight district headquarters of the state, they added. Postal ballots cast by government employees deployed on election duty and votes cast by service voters, who exercised their franchise from outside the state through electronic transmitted postal ballots (ETPB), would be counted first. After this, the votes cast in EVMs would be counted, the officials said. In 2013 elections in Mizoram, the Congress had won 34 seats, while its main opposition MNF got five. The Mizoram People's Conference had won one seat. 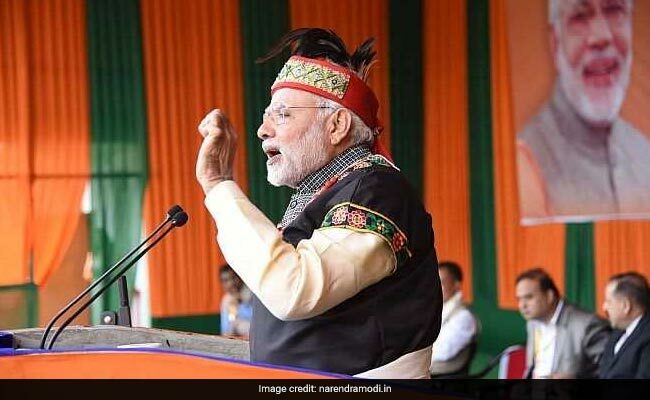 The BJP has set its eyes on Mizoram this time as all other northeastern states are now ruled either the saffron party or others supported by it. The eight Northeast states together have 25 Lok Sabha seats. There is sense of optimism among the rank and file of the Mizo National Front (MNF), the main opposition to the Congress in Mizoram. Their optimism is based on the history of the state where governments change every 10 years. However, it appears that smaller parties are going play a crucial in this assembly polls. An aggregate of the exit polls predictions showed the MNF winning 18 seats, the Congress 16 and the others six, while not giving the ambitious BJP even a single seat. The MNF and Congress contested from all the 40 seats in the state, and the BJP fought in 39. The MNF, a former ally of BJP in the state, looks to get a second term in the state. The party decided to split from BJP with the party chief, Zoramthanga stating that, "That happened because we are Christians, and they want to promote the Hindutva. We have different ideologies," Zoramthanga, the regional party chief, had earlier told news agency PTI in an interview. The NDA-MNF however remain allies at the centre. 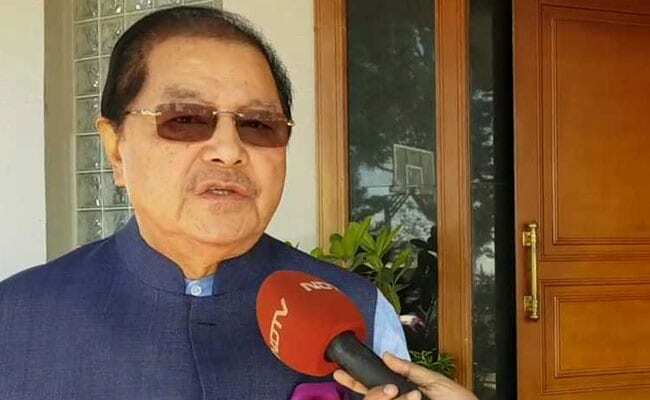 The Congress that holds the state, led by Lal Thanhawla, eyes a second term in hopes of retaining last bastion in the Northeast as Mizoram is the only remaining state there that is not under the rule of the BJP-led NDA government. The BJP, once an ally of the MNF in the state, contested separately. The NDA-MNF however are allies at the centre. PM Modi and party chief Amit Shah were the star campaigners in Mizoram. For the 40-member assembly in Mizoram, poll of polls predicted showed the MNF winning 18 seats, the Congress 16 and the others six, not giving the BJP even a single win in the Mizoram polls. The MNF and Congress contested from all the 40 seats in Mizoram while the BJP fought in 39. 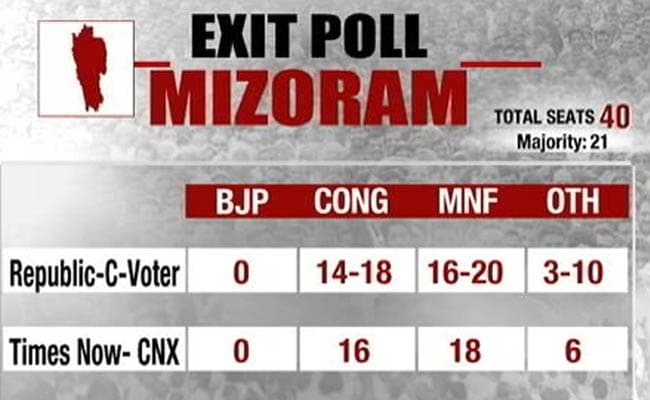 Even though different exit polls predicted different numbers for the Congress and the MNF, they all agreed on one prediction that the BJP isn't getting lucky in this Mizoram assembly elections.